A couple months ago, on New Years Eve, I had the privilege to photograph the birth of my good friends and fellow photographers Audrey and Seth’s son Knox. This was one of the most emotional events I’ve ever documented. Audrey had spent over 24 hours in hard labor. At two points in her delivery her anesthesia failed and the pain was immense! Audrey husband Seth and her mother waited by her side for hours, doing their best to make her comfortable. Finally, the doctor decided to do a cesarean section. Unfortunately, only Seth was able attend the operation. I stayed in the waiting room with their family, waiting… and waiting… and waiting. Being so disconnected from the couple and not knowing what was happening kept everyone on edge. After another couple of hours I was allowed in to witness some of the couples first moments with their son as well as their family introduction to Knox. It was amazing! 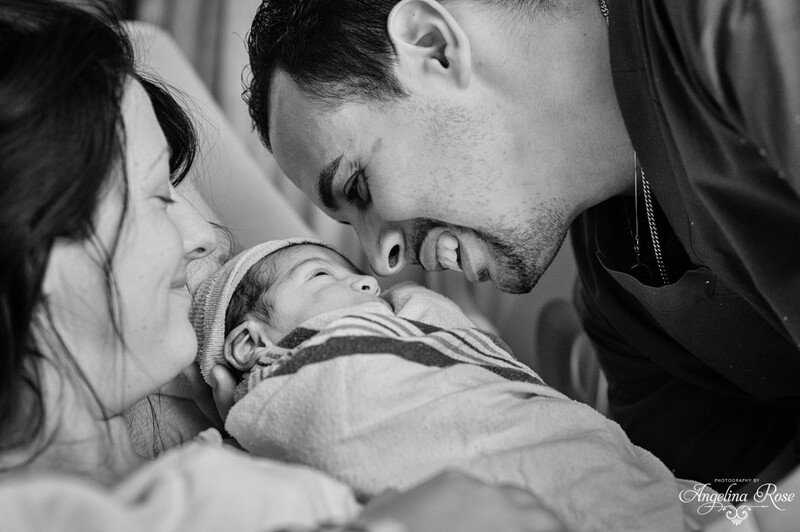 Photographer was able to capture the essence of caring during some of the most poignant moments of childbirth. Husband, wife and new born babe come together in a visual emotional dynamic. Well done. I especially admire the feeling that is generated from the husband’s tender and caring touches. I just love this series.